Loma Larga 4th  street on right is Morning Sun Trail. (apple wood hills). street on Left and left on Morning Sun Trail (apple wood hills). 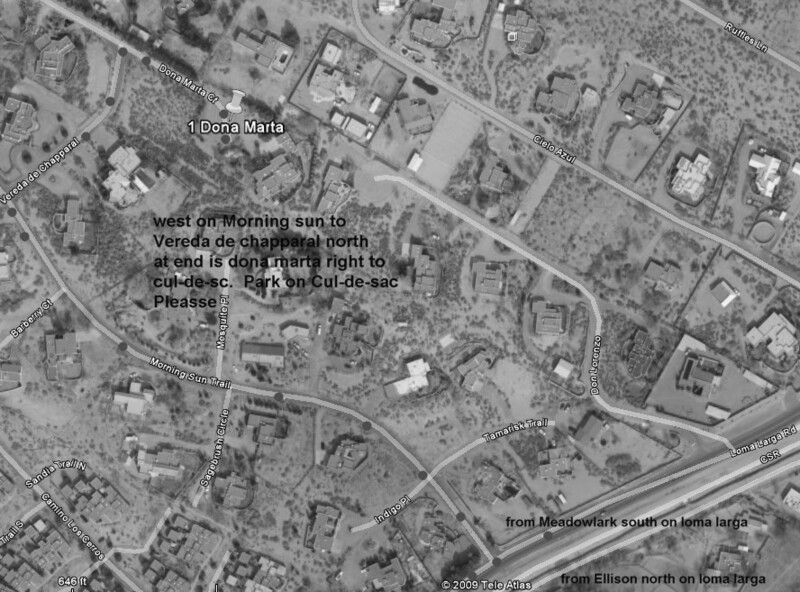 Vereda De Chaparral Right to "T" and sign. Right on Dona Marta Court. Sign for parking in cul-d-sac. 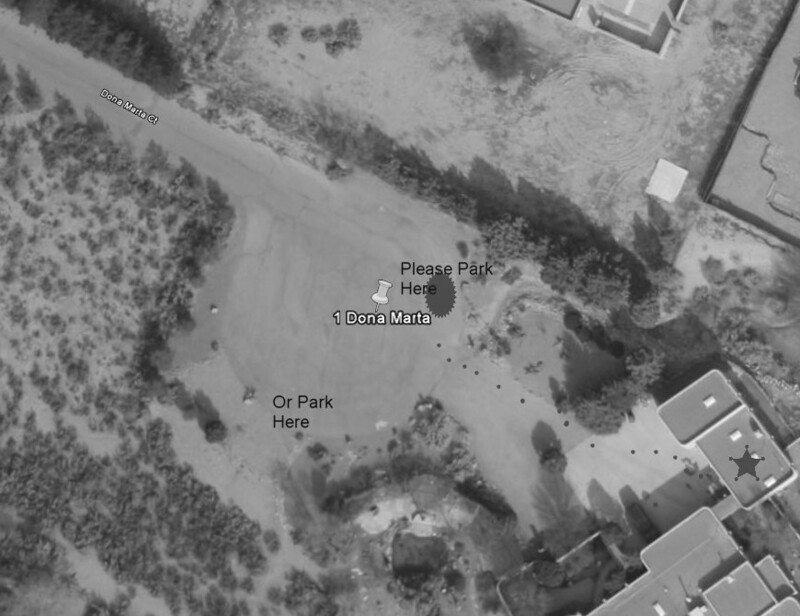 Park and go to building on NW left. Waiting area is pond on right. NOTE: DO NOT SPEED IN CORRALES YOU WILL BE TICKEDED.